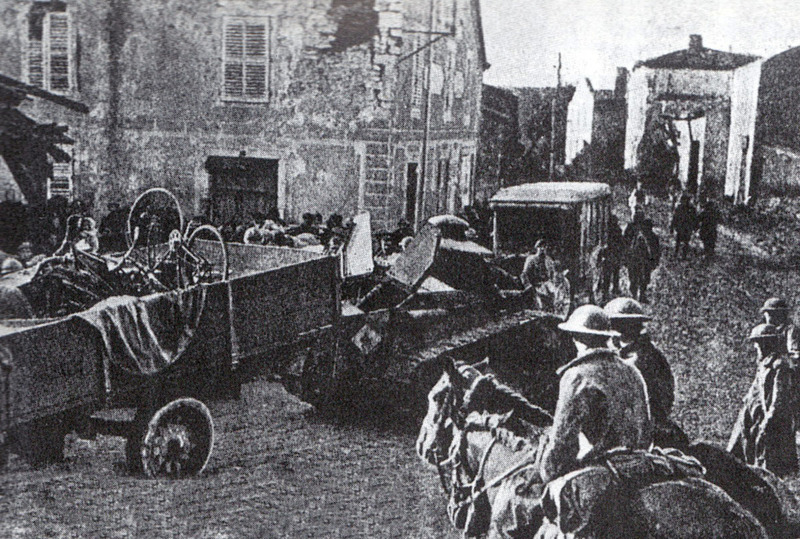 The USA only entered the Great War on on April 6th, 1917. There was no U.S bicycle corps, and cycles were provided for signal and intelligence staff for dispatch riders and liaison agents. 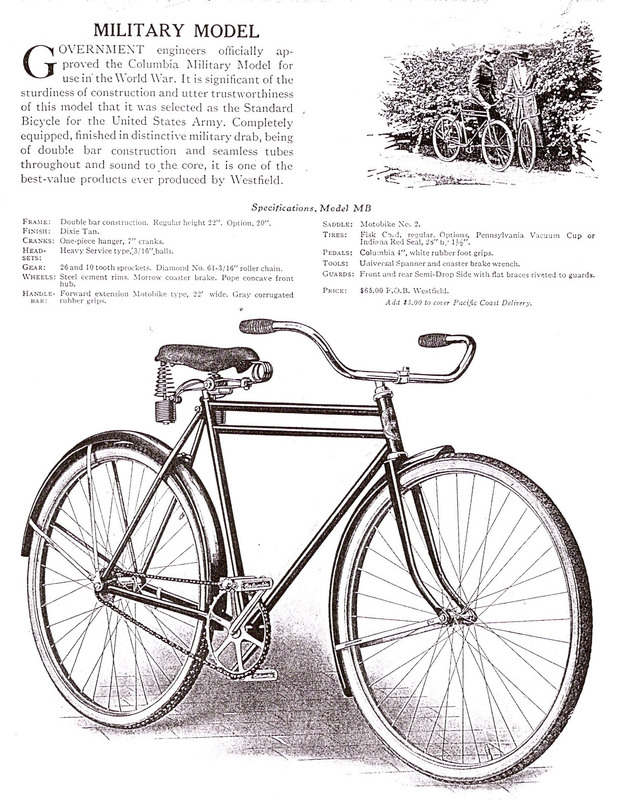 26,407 bicycles are recorded as being shipped overseas. 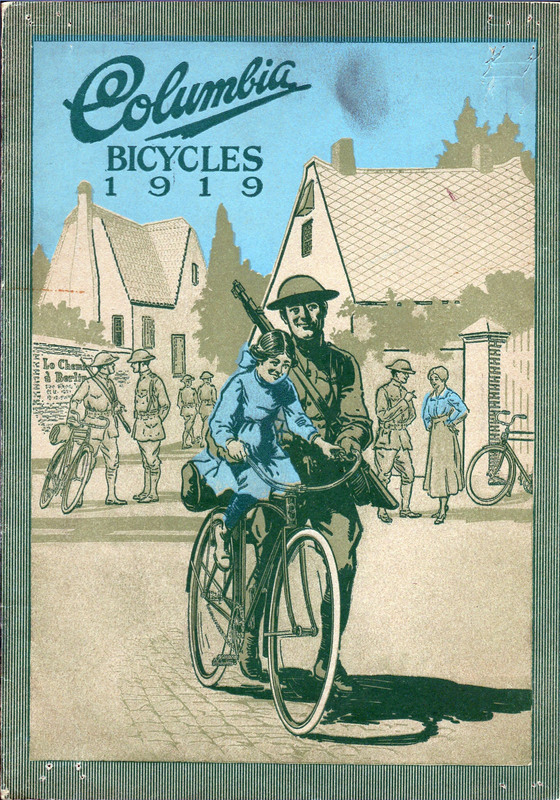 After the War, Columbia used illustrations of their Military Model for propaganda, as in the 1919 Columbia catalogue cover, above. 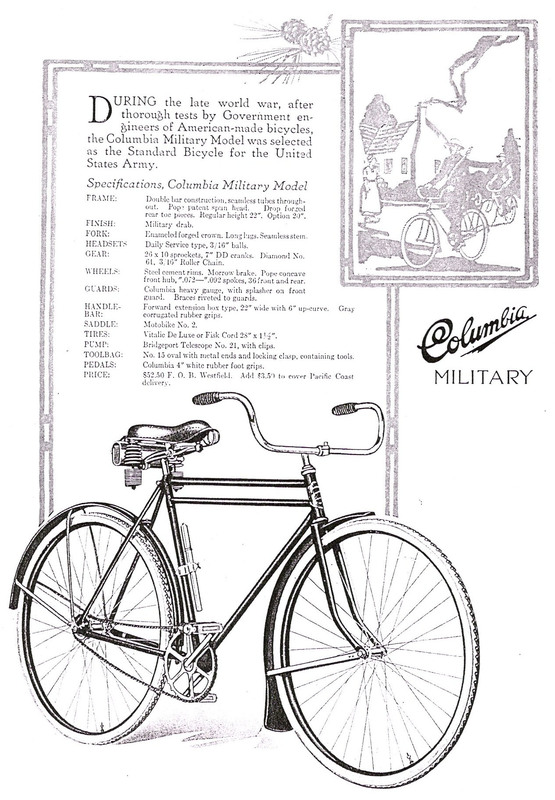 In 1920 and 1921, Columbia advertised a military model for sale to the public (below). 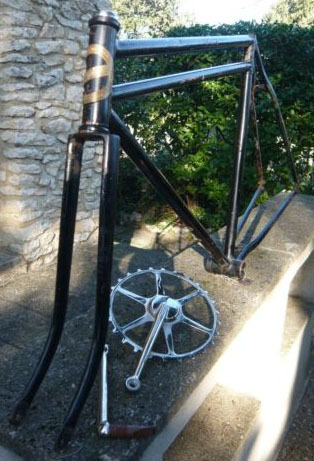 While I was on holiday abroad during Xmas 2010, I sneaked off one day while my wife and daughter were on the beach, and spotted the above bicycle frame and parts on French ebay. I suppose that browsing vintage bicycles on ebay instead of sitting on a fabulous beach in the sun is an irrefutable sign of addiction to old bikes. 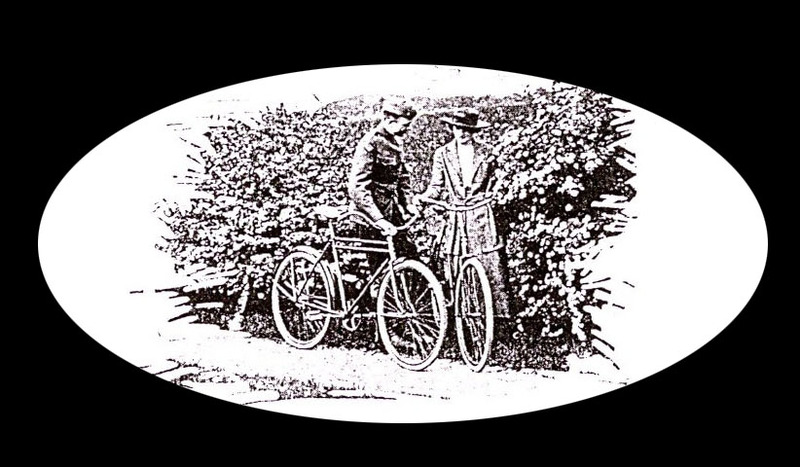 As you can see in the ebay photo above, the bike was pictured with a Columbia badge, described as a 1915 Model 412. I assumed this to be wrong, but I could see that it was definitely an early Columbia, and it was quite cheap, so I bought it. 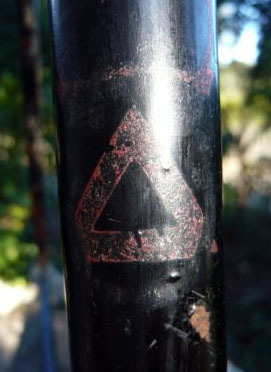 When I got home and the bike subsequently arrived, I was happy to find that the black paint is original (retaining the Columbia triangle decal on the seat tube, below). However, I could not work out what model it was. 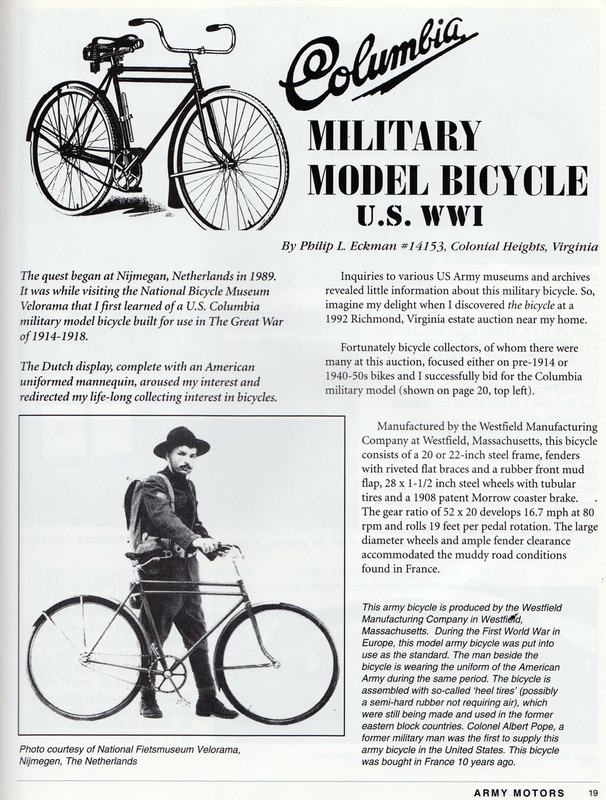 So I looked at my friend Ken Kowal’s superb Columbia website http://www.vintagecolumbiabikes.com where, to my amazement and delight I discovered that it was a Military Columbia. 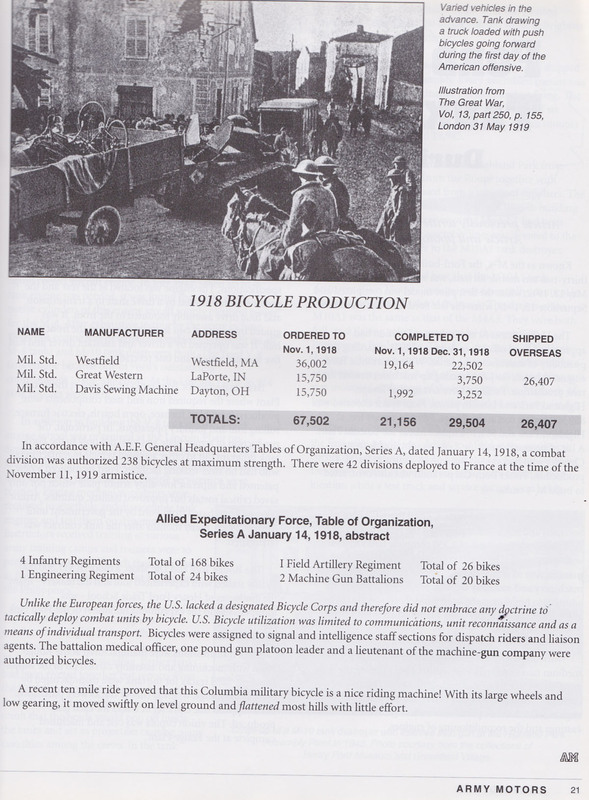 After various email exchanges with Ken, studying the above catalogue descriptions, and cross-referencing the frame numbers, we decided it was one of the Columbia Military Model bicycles sent to France in 1918. Next I purchased a back issue of Army Motors magazine, for the interesting article, below. 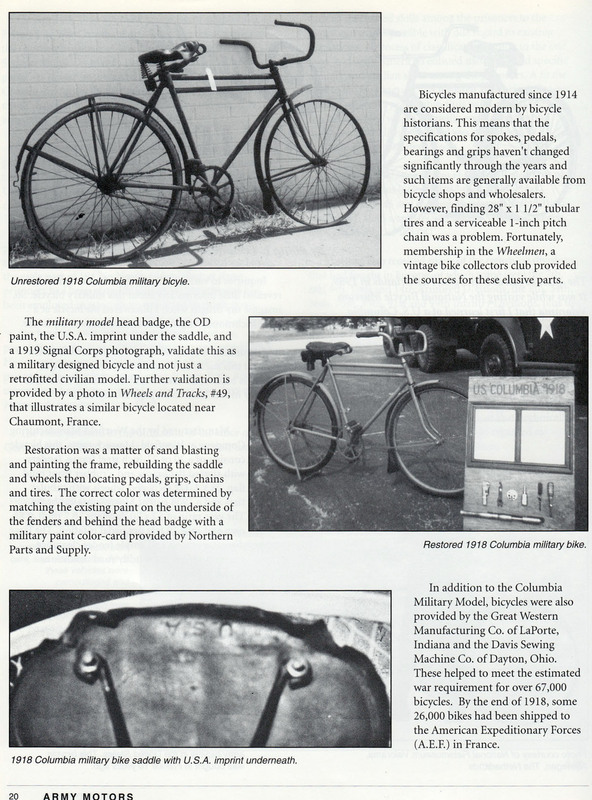 This bicycle is rare, and sought-after by military collectors. I was shocked to discover that the headbadge cost three times more than the bike! 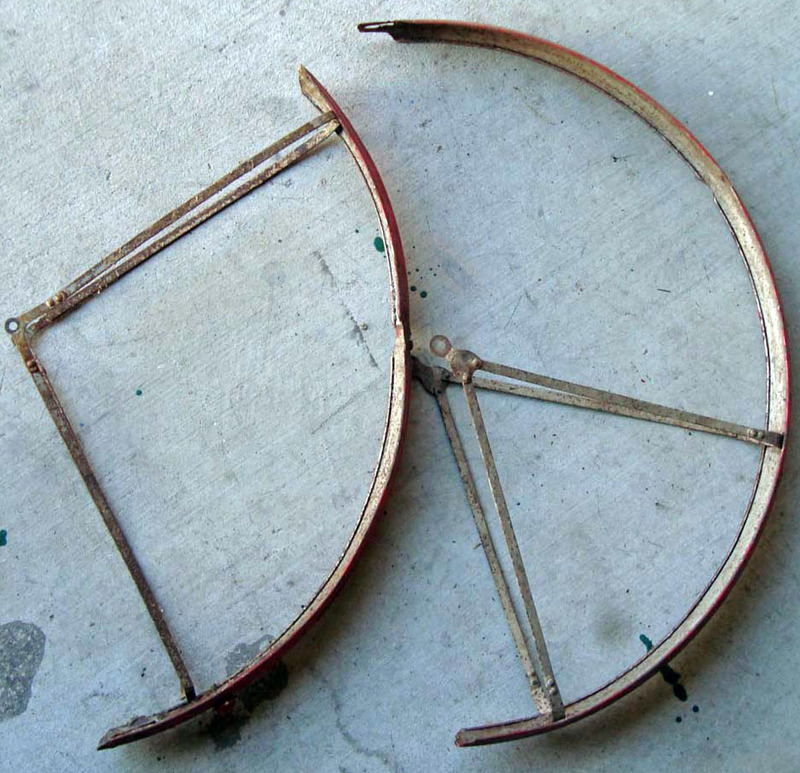 But I bought the badge, fenders and pedals from Scott at the forum, and the remaining parts from Memory Lane. 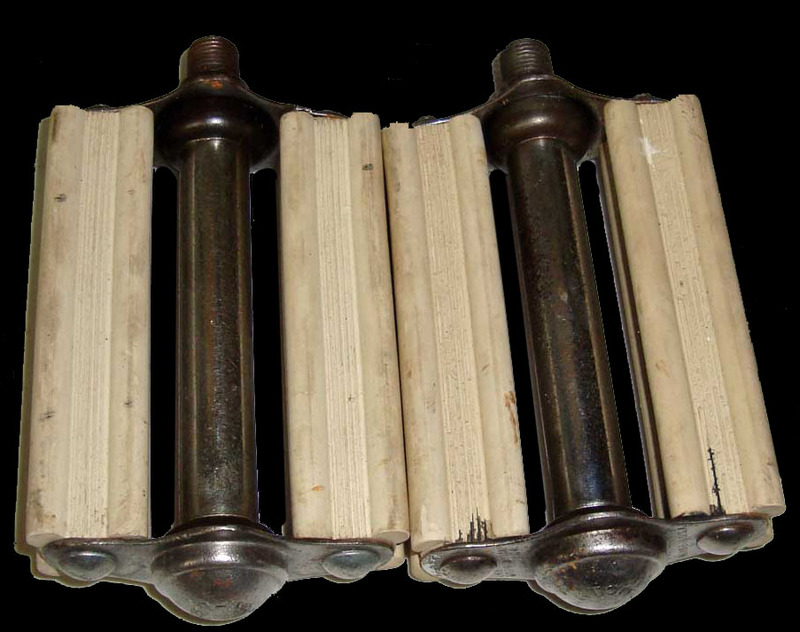 I have a saddle among my spares, and a pair of metal wheels are now being laced up with New Departure hubs in preparation. Once the parts arrive and I assemble the bike, I’ll update this page with more photos and a road-test report.